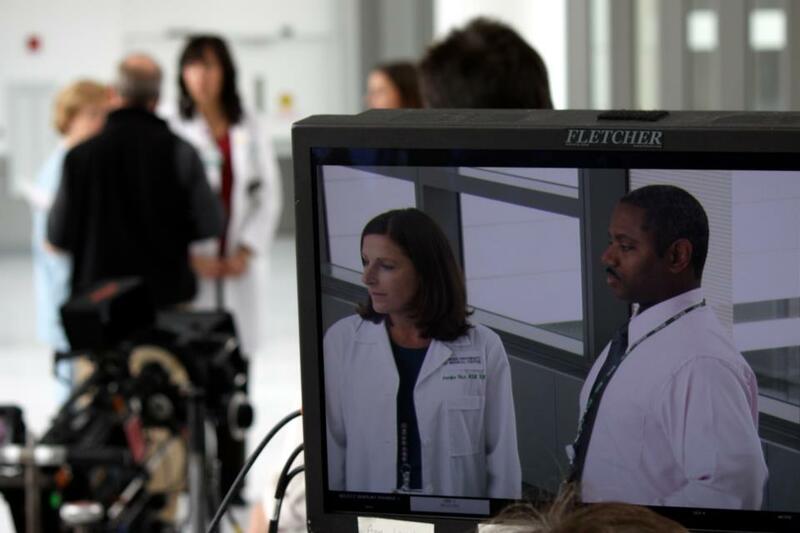 Four nurses made a TV commercial for Rush yesterday. The “cast” arrived, their fingers full of hangers to hold their own wardrobe options. They had no scripts. They would speak in their own words for a good two hours while an array of cameras and crew focused on their every word. It was a bit intimidating, one nurse admitted, but they would all become comfortable soon enough. In so many ways it was like every other Rush commercial shoot. But in one big way it was so different. This group will help tell the story of the new hospital at Rush. After a week’s worth of rain, the weather forecast looks good for today’s shoot. That’s a relief. We need it to capture a key part of our message. Lori Allen is assistant vice president, Marketing and Communications, with Rush University Medical Center. This entry was posted in New Hospital Building, Rush Transformation and tagged new rush hospital, Rush Transformation. Bookmark the permalink.